Are you an avid gamer? Or do you just play to relax? It’s crucial you have the best connectivity to the Internet on your console. This way, you can play versus other players in the world. Unfortunately, when it comes to being able to connect to the Internet on your console, things are not so simple. If you’re a student, you know this much too well – usually campus WiFi networks don’t allow connections from game consoles. Sometimes it’s the router or other networking equipment you’re using that’s causing the issue. It basically resumes down to network address translation (NAT) settings. Read below to see how to get a moderate NAT type that will allow you to enjoy online gaming. What is NAT? Why Do I Need to Change NAT Type? to add security to the network by keeping the private IP addresses hidden from the Internet. to allow multiple devices to share a single IP address. Open NAT (Type 1 | A) – all is permitted – your gaming device can connect to anyone’s games and host games. Plus – other users will be able to find and connect to the games you are hosting. This is usually the case when your console is connected directly to the Internet with no router or firewall. Moderate NAT (Type 2 | B) – your gaming console will be able to connect to other players, but some functions will be limited. When connecting to the Internet through a router that is configured properly, you’ll get this moderate NAT type. Strict NAT (Type 3 | C) – your gaming device has limited connectivity with other players. Other players on a moderate or strict NAT will not be able to join your hosted games. This is the case when the router doesn’t have any open ports. The best gaming experience is achieved if you’re on an open NAT or at least a moderate NAT type. Changing NAT means going from a strict NAT type to a moderate or open NAT type. Solved: Why Does My Android Phone Keep Disconnecting from Wi-Fi? For the purpose of this article, we’ll assume that you’re getting a strict NAT type on your gaming console when trying to play online. We will be using a VPN like Speedify to connect to the Internet from a Windows computer. This will bypass strict NAT restrictions and get you a moderate NAT type. 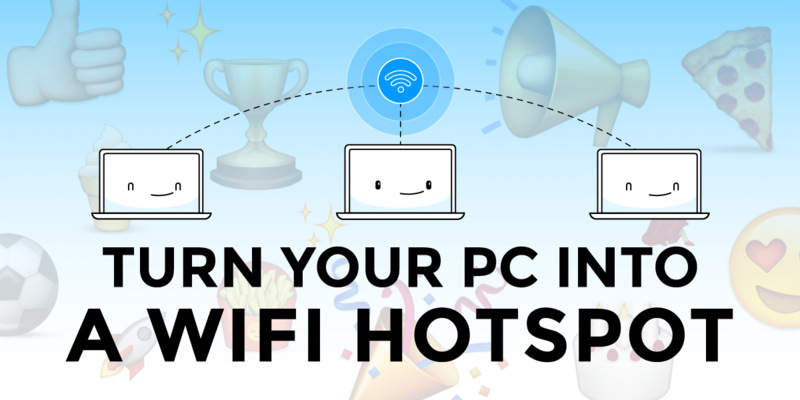 Then, will be sharing the Internet connection with your gaming console via WiFi using Connectify Hotspot virtual router software. 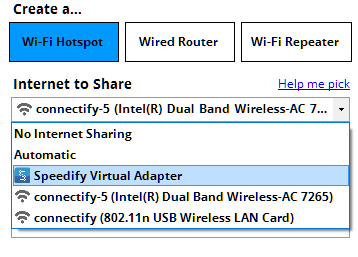 By using both Connectify Hotspot and Speedify on your PC, you can connect your gaming devices to the WiFi network created with Connectify Hotspot in order to get a moderate NAT type. they will automatically get NAT Type 2 (Moderate), which allows you to enjoy your gaming experience without any issues. Sometimes your Internet connection restricts available ports to a strict NAT type 3. This usually is the case when connecting from campus WiFi, office networks, public WiFi networks etc. In this case, in order to get a moderate NAT type 2, you’ll have to bypass the port restrictions on these networks – see below how to change NAT type. The simplest way to bypass port restrictions is by using a fast bonding VPN such as Speedify. A VPN makes it impossible for the Internet service provider to see what your traffic is about and impose port restrictions. All VPN traffic goes through predefined ports that are open. Open Speedify and connect to a server (usually the closest will be best). If you have multiple Internet connections from different networks, you can combine and use them at the same time with Speedify to create a super-connection with increased bandwidth and lower lag. Run Connectify Hotspot. Under WiFi Hotspot mode, give your hotspot a custom name and password, and select the “Speedify Virtual Adapter” from the Internet to Share drop-down menu. Then click “Start Hotspot”. 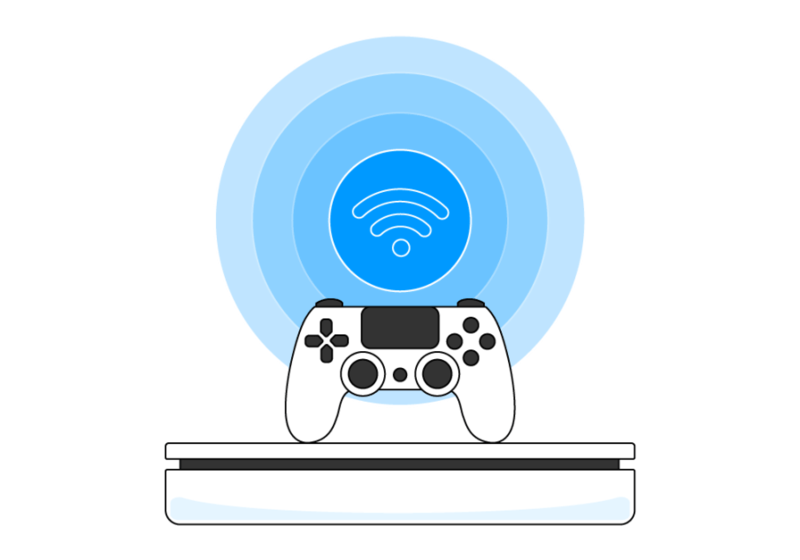 Connect your Xbox, Playstation, Nintendo or other game console to the hotspot you configured using Connectify. All the traffic going through this WiFi hotspot will be NAT type 2 (Moderate). You’re all set! It’s this easy to get a moderate NAT type and enjoy your online gaming with Connectify Hotspot and Speedify. Don't Have Connectify Hotspot Yet?